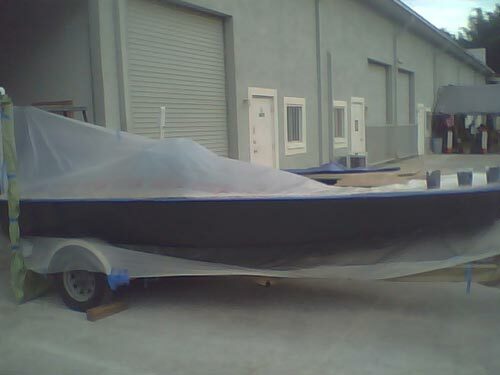 Call 727-992-2781 For complete fiberglass and Gelcoat repair, Boat Wiring, Bottom Painting ETC. Serving Pinellas, Pasco, and the complete Tampa Bay area. 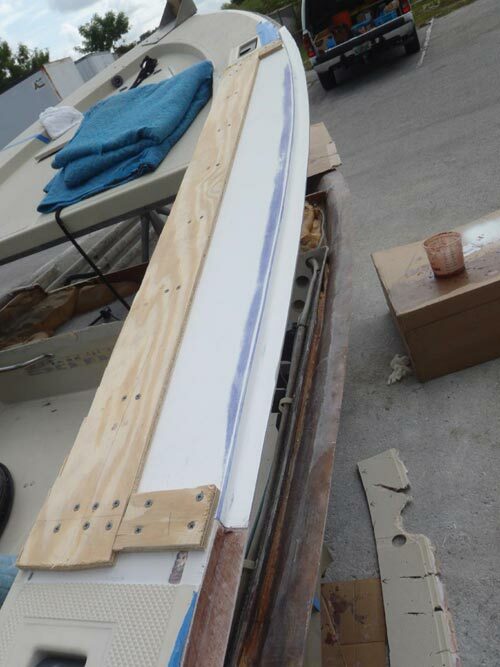 Bluewater Boat Repair specializes in custom fiberglass work in order to fix some of the more complex boat repairs. On June 26, 2010 a customer had a collision with a pylon causing serious damage to a Silver King flats boat. The damage was so severe that a portion of the top deck had to be recreated which included the nonskid decking and gunwale flange. 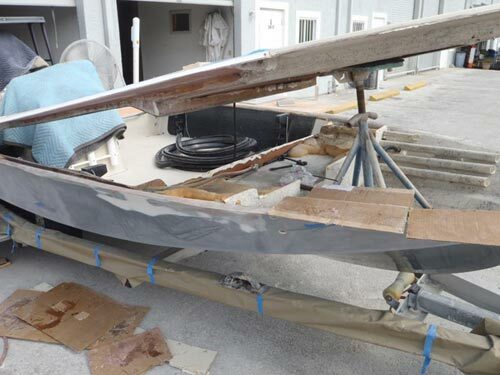 The process of repairing this boat including removal of the top deck in order to properly access the damaged portion of the boat. Damaged gunwale was cut out and then redesigned as it was beyond repair. Bluewater Boat Repair actually recreated the portion that was removed with composite materials. The correct angles and dimensions were taken in to account. This was a very complicated procedure that requires only the most skillful boat repair and fiberglass technicians. The experience and attention to details were a necessity in order to restore the boat to it's previous condition. 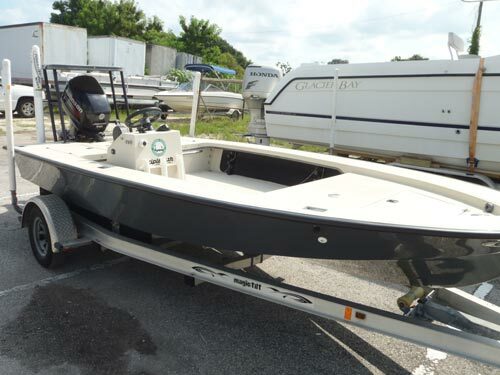 The customer was very satisfied when the boat was returned.
" I never in a million years would think that my boat would ever look the same as it did before the accident. I was astonished that the boat looked better than what it had before. Tim at Bluewater Boat Repair was amazing. He took the time to show me the restoration process. After seeing the steps it took to complete the job I an convinced that I could not have had a better person working on my boat. The attention to detail was superb and the constant communication via updates during the repairs was much appreciated. Thank you Tim." 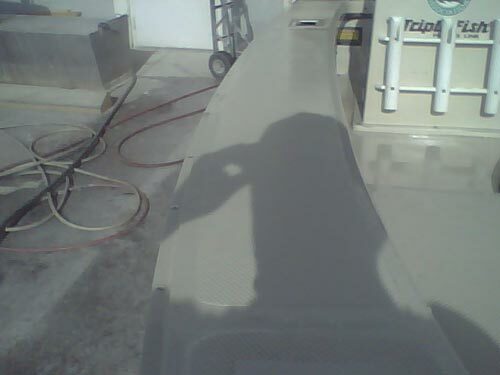 Below are pictures of the custom fiberglass work that Bluewater Boat Repair did on this boat. 1990 Silver King Pylon Damage. Top cap was removed carefully not to cause damage to the boat. The gunwale had to be recreated because the damage was beyond repair. Notice the complex nonskid that had to be remolded. The rub-rail flange had to be created as well. Finished gunwale after nonskid diamond pattern was created. This required a very high level of skill in order to get an exact match. Finished product. The gel coat match was perfect. 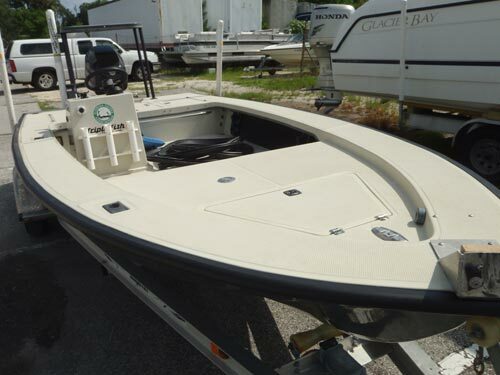 Customer was extremely happy with final outcome and commented: "The boat does not look like it has ever been in an accident, damaged, or repaired............It looks like it did before...excactly!" 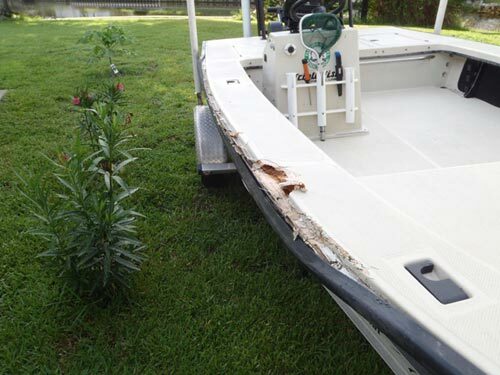 Call Bluewater Boat Repair at 727-992-2781 for an estimate on your custom fiberglass repair.